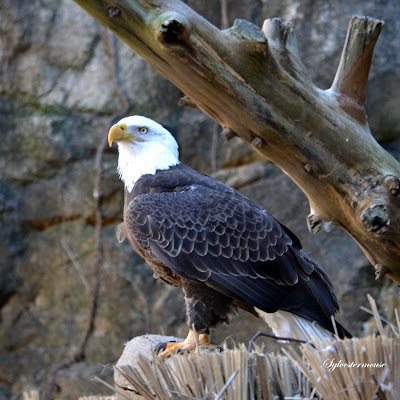 A Bald Eagle is one of the recognizable birds in the world. His proud and majestic stance exudes power. His menacing glare strikes fear in any creature and naturally warns to not get any closer. The Bald Eagle most often feeds on live prey including cranes, seagulls and ducks. He also feasts on fish, salmon and snakes. He swoops down and catches them in his powerful talons. Because the Bald Eagle is an opportunist, he will also dine on dead fish, animals or even on carcasses left behind by other carnivores. 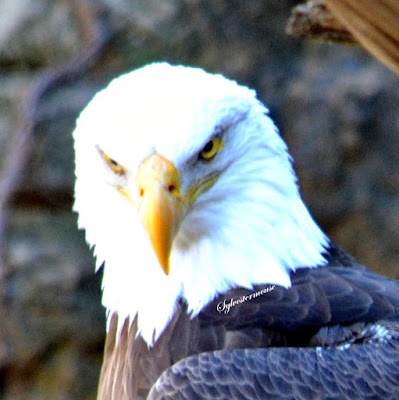 Because eyes attract eyes, we automatically look to another mammals face first, but take a moment to really look at the overall beauty of the Bald Eagle. From his pure white head feathers to his white tail feathers, his bird is gorgeous. 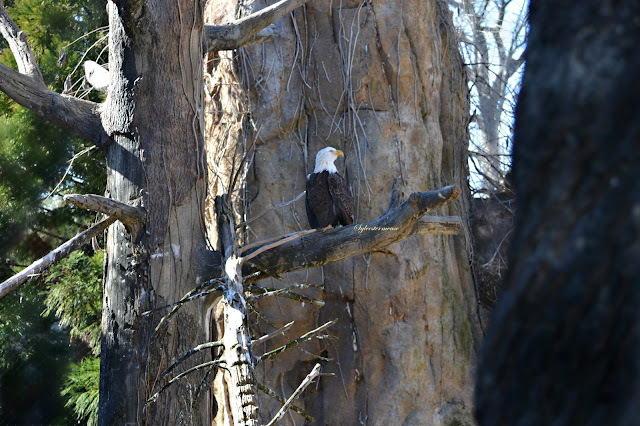 As with any animal, there are some truly fascinating things to learn about the Bald Eagle. For instance, they build the largest tree nest of any animal. It is built of sticks and twigs and situated close to water, which is, of course, the very best hunting ground. All Photos are the Exclusive Property of Cynthia Sylvestermouse and should not be used without written permission. Bring Home a Bald Eagle Today! Wonderful article about the Bald Eagle. You think you know all about something, then read a summary of facts and learn SO much more than you ever knew before. Fascinating! I knew, of course, that the Bald Eagle was our national bird, but I didn't know they had such a long life span or had such a varied diet. 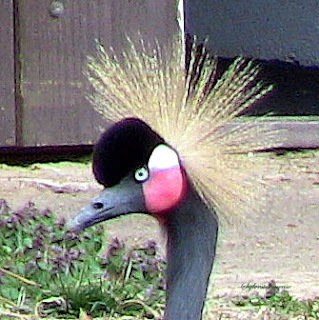 Really interesting factual article and these gorgeous photos really show off this beautiful bird.